What we're working on: Floating a trial balloon! We've got a Facebook page and a Twitter page. 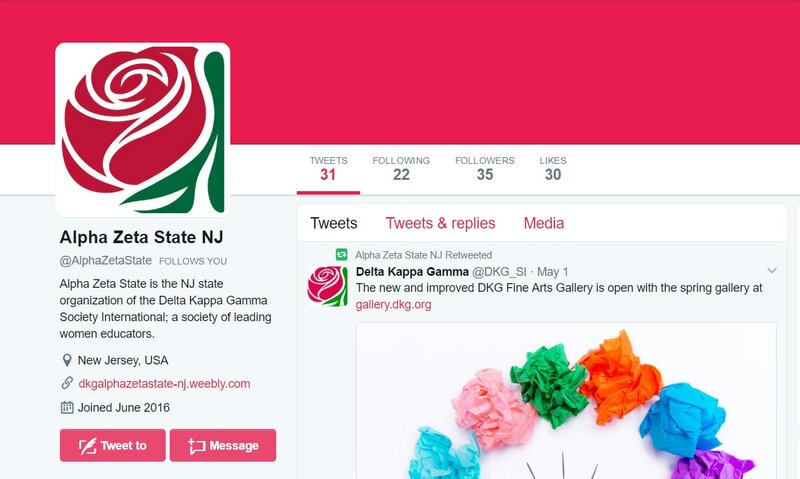 Now we need people to like and follow Alpha Zeta State NJ (twitter) and Alpha Zeta State DKG (Facebook) the links are on the home page. It would help if chapters found a person or two who would post pictures to these pages on a regular basis. Share your meetings, service projects, accomplishments of members. Planning a monthly News Between the News e-newsletter from Alpha Zeta State. Figure out whether/how the regular newsletter should be re-imagined. ​Can you help us out? 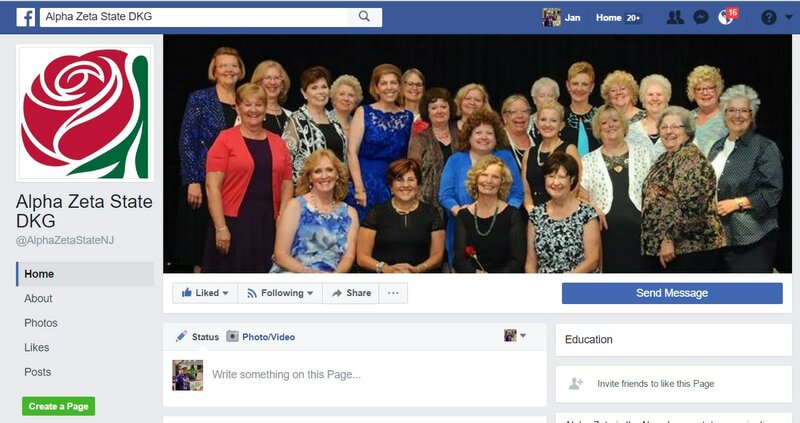 Work with your chapter on using social media and electronic communications. Get people to sign on! Committee Role: The committee will be an advisory committee making recommendations to the executive board for future action. Recommended Decision Authority: The committee as a whole shall be the decision making authority for the committee. Anticipated Date of Decision Concerning the Committee Recommendation: September 1, 2017. Dissolution of the committee: The special committee will be dissolved after all charges of the special committee have been met.